Jon Jones would surely have anticipated this kind of reaction. On Christmas Day, the former long-time UFC light heavyweight champion of the world decided to ask for advice on his next walkout song from his two million Twitter followers. 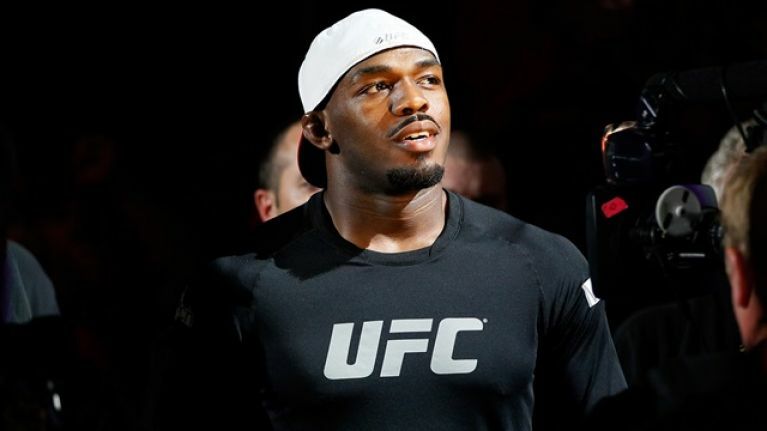 Jones is expected to make his latest comeback on Saturday night after serving a suspension for testing positive for a banned substance in July 2017. There was some late drama to Jones' scheduled rematch against former foe Alexander Gustafsson, however, when it emerged that there were some trace amounts of that same prohibited substance in the 31-year-old's system in a test earlier this month conducted by the United States Anti-Doping Agency. The Nevada State Athletic Commission decided not to licence Jones because of the test abnormality but the California State Athletic Commission pounced at the opportunity and all of a sudden, several fans' plans for fight week were left in tatters as UFC 232 was moved from Las Vegas' T-Mobile Arena to Los Angeles' Forum. The switch has been slammed by many but at the time of writing, the fight is still on. However every fight week involving Jones is a nervy one for fans and there could well be even more twists and turns before 'Bones' and Gustafsson set foot in the Octagon to compete for the 205lbs title. Presuming he does make the walk for the first time in 2018, Jones sent out an open call for entrance song recommendations and MMA fans were never going to pass up the opportunity to have a little fun at the expense of Jones' previous indiscretions. “Under the Bridge” downtown, is where I drew some blood! ?